Here are key relatively straightforward principles and practices not commonly known that can make a world of difference in the performance of feedforward and ratio control systems. 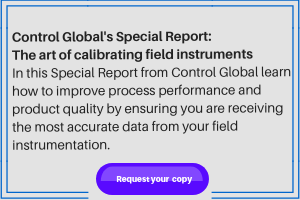 Also, guidance is offered for the setup and automatic identification of the parameters needed by the use of software designed to tune PID feedback controllers. Even though this capability may be well within the existing functionality of the software, often the instructions needed are insufficient or missing in action. The desired and undesired changes in process outputs can be largely be traced back to changes in the flow rate of process or utility streams. These changes are relatively fast and can propagate downstream as changes in stream temperature and composition besides flow. In comparison, the changes in raw material composition and temperature in storage tanks are relatively slow and small. Feedforward and ratio control seek to maintain the stream flow and consequently the stream composition and temperature at the values that would be seen in an accurate Process Flow Diagram (PFD). Unrealized is that most PFDs and the feedforward gains and ratios used could be updated online as the flow rates are corrected by the feedback controller by better visibility of the correction. Also, a PI controller similar to a valve position controller (VPC) can be simply set up to automatically adapt the feedforward gain or ratio by seeking to gradually and smoothly minimize the feedback correction. We must first define some nomenclature. The “leader” flow leads the way and may be a disturbance flow or a manipulated flow that first sets the direction and production rate. Feedforward or ratio control sets the “follower” flow that will seek to stay in a given ratio to the “leader” flow. This simple strategy enables preemptive disturbance rejection to reduce load upsets, coordination for changes in production rate or state (e.g., startup or transition) to reduce unbalances, and decoupling to reduce interaction. It is most important that the feedforward or ratio correction in a manipulated “follower” flow arrive in the process at the same time at the same point as the “leader” flow. The correction in the “follower” flow must not arrive too soon causing inverse response or too late creating a secondary disturbance. The criterion for what is too soon and too late is tight and loose, respectively. Arriving just 10% of the loop deadtime too soon is significantly disruptive whereas arriving 100% of the deadtime too late may just require a reduction in the ratio or feedforward gain. Overcorrection can cause the opposite response and is much worse than under correction. Since we never know the feedforward gain or ratio exactly due to uncertainties in measurements or process stream conditions and our feedforward timing is never right, the full theoretical feedforward gain or ratio is not used in the setting. Often the actual value used is less than 80% of the theoretical value. To get the timing of the “follower” flow better, dynamic compensation of the feedforward or ratio control is done by insertion of a Deadtime block and Lead/Lag block in the “follower” flow required for feedforward or ratio control. The feedforward or ratio control block deadtime is equal to deadtime for a change in “leader” or load flow minus the loop deadtime for a change in “follower” flow resulting in a change in the controlled process variable (PV). If the “leader” deadtime is significantly less than the “follower” deadtime, you are out of luck unless you can insert a deadtime in the setpoint changes to the “leader” flow. In this case, the feedforward or ratio control deadtime is the total deadtime from a “leader” setpoint change minus the deadtime from a “follower” flow change. The Lead time in the Lead/Lag block is set equal to the lag from a change in the “follower” flow in terms of affecting the PV (Lead time setting = “follower” lag). The Lag time in the Lead/Lag block is set equal to the lag from a change in the “leader” flow resulting in a change in the PV (Lag time setting = “leader” lag). The Lag time in the Lead/Lag block should be at least 1/5 the Lead time to prevent an erratic and noisy “follower” flow. The feedforward gain or ratio is set to make the contribution of the “follower” flow cancel out the “leader” flow. The feedforward scale of a feedforward summer for direct manipulation of a final control element should be set to match to the final control element capacity with signal characterization added to reduce nonlinearity. You can use software for tuning a PID controller to tell you what is the “follower” and “leader” deadtime, lag time and process gain. The process gains should be expressed in terms of the change in the PV divided by the change in “leader” flow and “follower” flow realizing that the feedforward scale or secondary controller takes care of the final control element gain. If there is no “leader” flow controller, a dummy controller can be set up as if there was such a flow controller and the tuning software used. Of course, changes in the "leader" flow must be made for identification of dynamics. Due to the lack of guidance on how to identify the feedforward gain and dynamic compensation for PID control, Model Predictive Control (MPC) may be used because it automatically does this during the test and identification process that is largely automated. If there are multiple feedforwards, complex or compound dynamics due to recycle streams or heat integration or full decoupling is needed, MPC is a much better choice unless you have exceptional PID expertise. However, when ratio control is needed for visibility and accessibility, many of the same practices sited here for PID control are also needed for an MPC solution. Furthermore, the temptation to use a controlled variable that is a ratio of two flows only works over a narrow flow range because of the extreme nonlinearity created by division of one flow by another flow. As the devisor significantly decreases, the process gain greatly increases. For fast processes where the process deadtime or secondary lag is small or are nearly the same for both the “leader” or “follower”, the dynamic compensation largely depends upon dynamic response of the secondary flow or speed loop and final control element (control valve or variable frequency drive). While lags and delays in the process response of the PV may be similar or negligible for both “follower” and “leader” flows, the “follower” flow correction must work through the secondary flow or speed loop and a final control element with uncertain and non-ideal dynamics. Thus, poor secondary controller tuning and/or control valve or VFD nonlinearity, slow response time, deadband and resolution limits deteriorates feedforward and ratio control besides feedback control. If there is no secondary flow loop and the correction is done by direct manipulation of the final control element, a feedforward summer is best despite what might be said in the literature about whether the intercept or slope of feedforward changes. These plots do not take into account that bias errors exist in valve positions and leader flow measurements and that uncertainty and nonlinearity is more robustly handled by a bias correction as seen in model predictive control and neural networks. A feedforward multiplier introduces a nonlinearity that is problematic if there is no secondary flow or speed loop. Most gas and steam pressure systems do not have a secondary loop and therefore use feedforward summers. For steam header pressure controller a feedforward summer can be used to provide decoupling and minimize upsets to upper headers from lower headers. The change in steam flow through a letdown valve to the respective header is a feedforward input to the letdown valve of a higher pressure header. If the valves are linear and the feedforward scale is set based on the valve flow capacity, the theoretical feedforward gain is one. If the letdown valves have similar dynamics, no dynamic compensation of this feedforward signal for decoupling is needed. This simple half decoupling can be carried up through multiple headers so that changes in the lowest pressure header steam use or generation does not upset any of the higher pressure headers. Changes in steam use and generation are also a feedforward signal to the letdown valve for the respective header. Again, linear valves with a feedforward scale set based on valve flow capacity makes the theoretical feedforward gain one if consistent steam flow units are used. If the steam suppliers entering the header and the steam users exiting the header are within a few thousand feet of each other, the process deadtime and secondary lag is the same for both changes in supplier or user flow and letdown flow. In this case, the dynamic compensation needed is simply based on the letdown valve response time. For a letdown valve 86% response time (T86) of 4 seconds, a Lead time setting of 4 seconds and a Lag time setting of 1 second is a good starting point to help get through the resolution limit for the integrating or dominant lag process response of steam header pressure. If there is a secondary flow or speed loop, a ratio control block and bias/gain block is used to provide operator visibility and accessibility important for changes in process conditions and states. This is a significant consideration often lacking in the operator interface. For level, composition, pH and temperature control of back mixed volumes (e.g. liquid vessels with recirculation and/or agitation and columns), the bias is corrected by feedback control effectively being a feedforward summer. For composition, quality, temperature and pH control by manipulation of feeds for plug flow volumes (e.g., fluidized catalyst bed reactors, static mixers, clarifiers, inline polymer reactors, conveyors, settling tanks, extruders, and sheet lines), the ratio is corrected by feedback control effectively being a feedforward multiplier. Whether the ratio or bias is corrected is determined by whether a significant process time constant is present due to back mixing or missing due to plug flow. The manipulation of heating or cooling for control may necessitate the correction of the bias due to the introduction of a heat transfer lag. Whatever is not corrected by feedback control can be adapted by the setup of a simple PI controller with mostly integral action and effectively directional move suppression that seeks to make the feedback correction negligible (bias and ratio correction factor approach zero and one, respectively). For ratio control of reactants, dynamic compensation is not normally used. However, unbalances in the stoichiometric ratio of reactants can accumulate in back mixed volumes with prolonged delayed effects and promote more immediate and abrupt effects in plug flow volumes for changes in production rate, from correction by analyzers and changes in state. The more commonly cited solution is to tune all the reactant flow loops to have the same closed loop time constant of the reactant loop with the poorest and slowest response. However, this degrades the ability of the faster and better loops to deal with disturbances such as pressure, temperature or composition changes to mass flow loops particularly when coriolis meters are used. The better solution is to tune all the reactant flow controllers for the fastest disturbance rejection and use an equal setpoint filter on the reactant flow loops to make the “follower” loops respond in unison via ratio control with changes in the “leader” loop setpoint. For ratio control of column process flows for temperature or composition control, the relative location that the process flow enters the column has a great effect on the Lead/Lag settings. For level control, the dynamic compensation of the ratio control is usually not needed if a process flow is manipulated that directly enters or exits the volume. However, if level control is achieved by the manipulation of heat transfer, overhead condensation or by the addition of a stream to another stream or volume introducing delays and lags in the “follower” response, dynamic compensation is necessary. Final control element and flow measurement rangeability can be a severe limiting factor. Oversized meters and control valves and improper installation make the actual rangeability much less than the stated rangeability by the supplier. Sliding stem low friction packing control valves with diaphragm actuators and digital valve controllers and VFDs with pulse width modulated inverters and speed to torque control and low static head, and magmeters and coriolis flow meters offer the best rangeability. If there is good final control element rangeability, insufficient flow meter rangeability can be dealt with by an inferential flow measurement computed from valve position or VFD speed at low flows. There must be a smooth transition from measured to inferred flow. The feedforward gain or ratio factor should be reduced since the inferential measurement is less accurate. Note the VFD rangeability and linearity dramatically deteriorates as the static head increases and approaches the system pressure drop from friction. For a better understanding of this and much more see a preview of a future ISA Mentor Program WebEx presentation “ ISA-Mentor-Program-WebEx-Feedforward-and-Ratio-Control.pdf ” and of course, buy one of my books. I have found a book to update that will showcase a great mind. Now I just need to find the great mind.